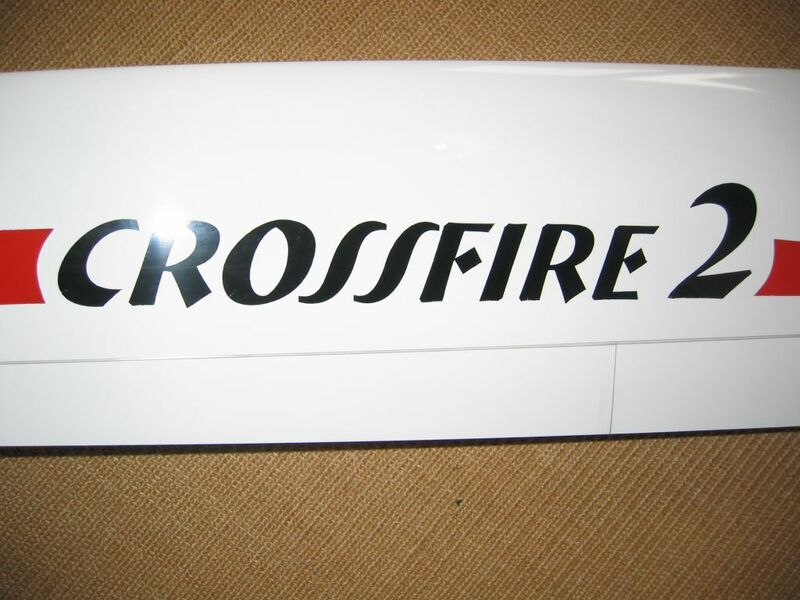 Well known and proved Crossfire-2 is now available with X-tail fuselage and canopy. 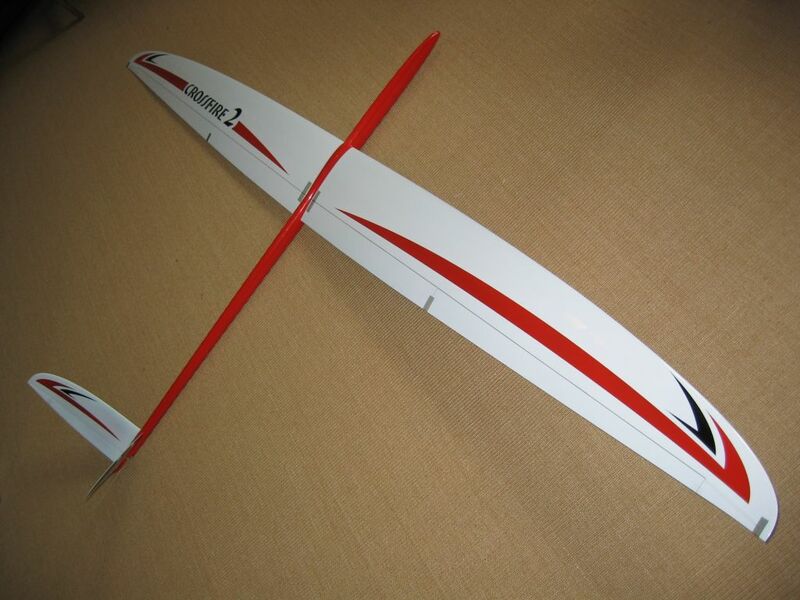 This allows to use this high performance glider for F3B and f3F as well as for electric powered gliding ! 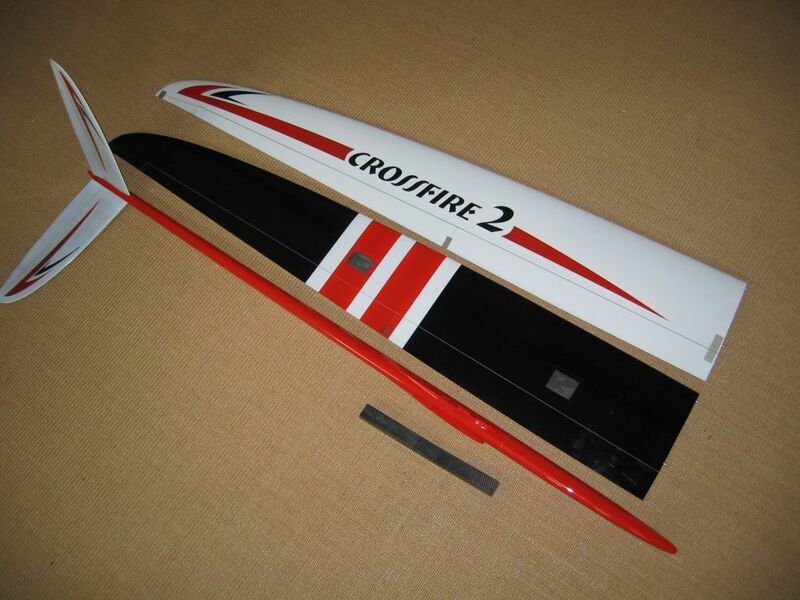 Crossfire-2eX is a high-tech F3B-glider for competition, slope, alround and electro flight. 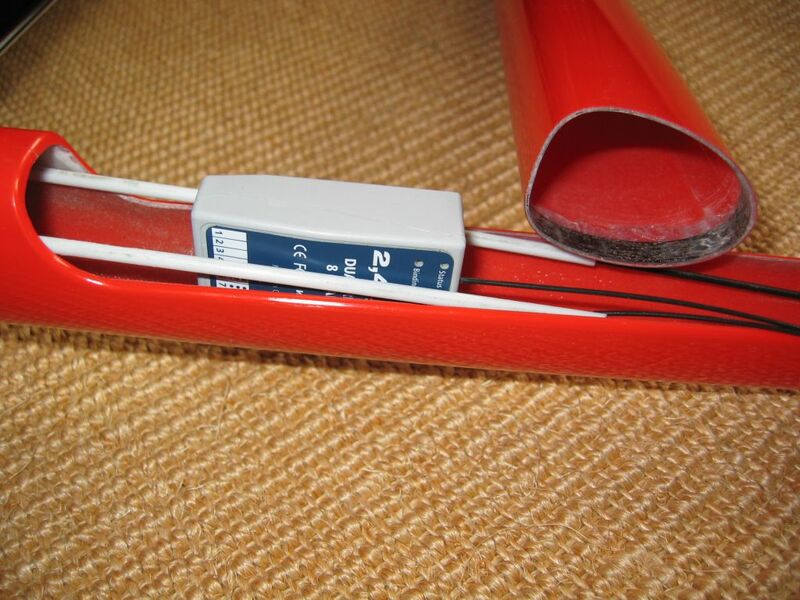 Set contains 1,6 kg of brass ballast ! 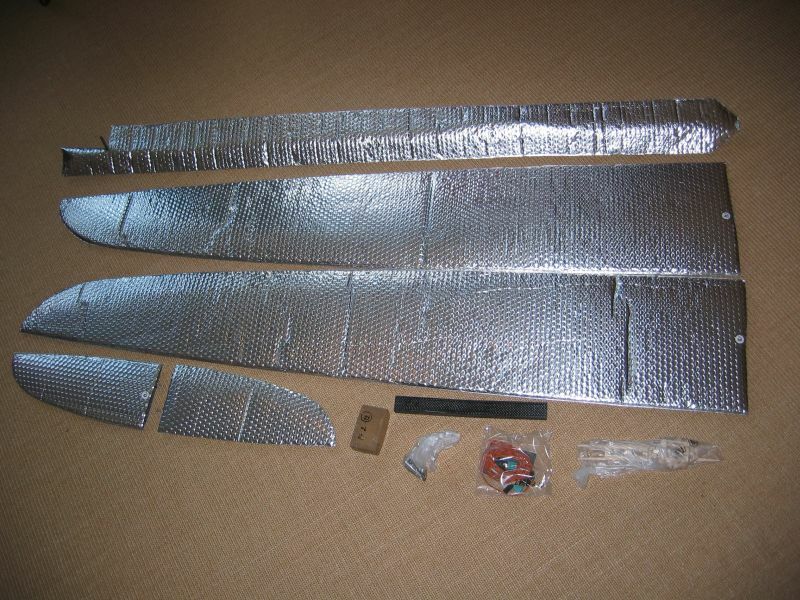 It comes also with all hardware like cables, connectors, smmall parts, servoframes and protection covers. 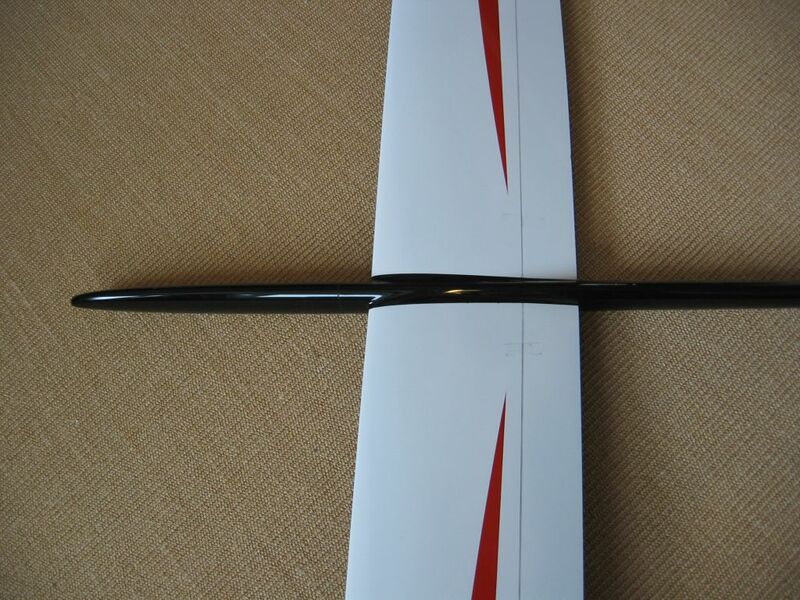 Ailerons and flaps are prepared with carbon pockets for RDS, but you may also install traditional linkage or LDS. 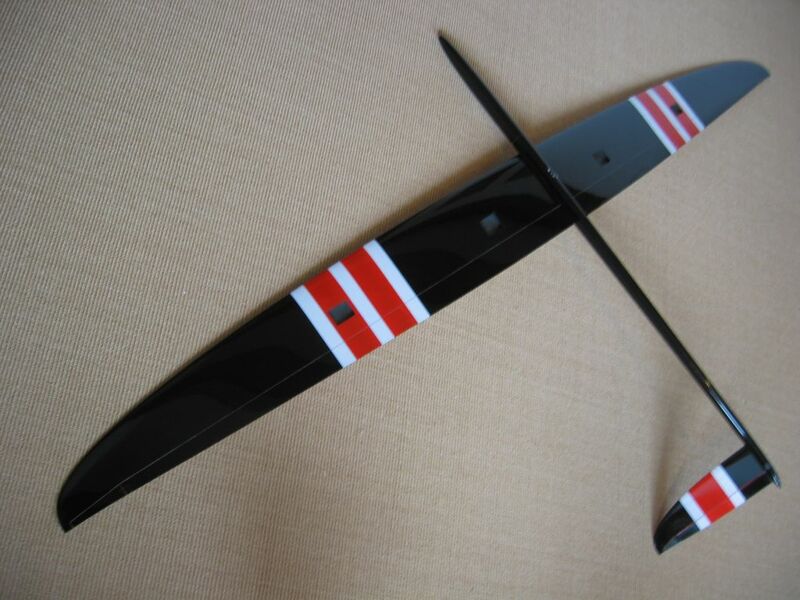 For Electro we offer ready installed servos in rudder fin for elevator and rudder function ! You may chosse your favourite colours with 3 different design patterns ! Custom made design on demand ! 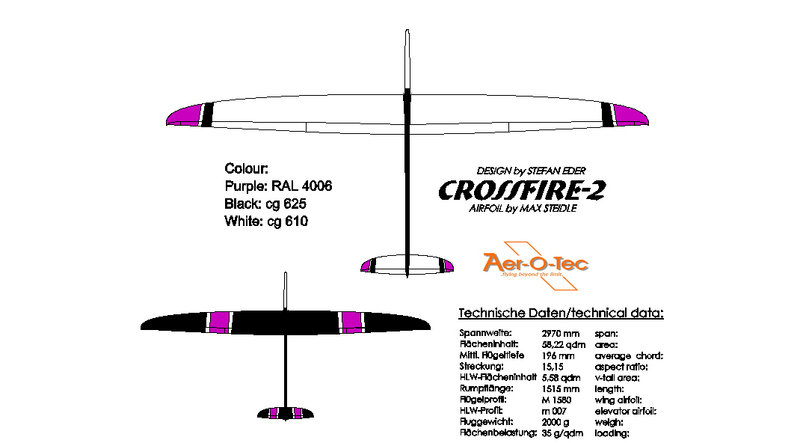 Please ask for personal details and building service ( RDS or even RTF)! 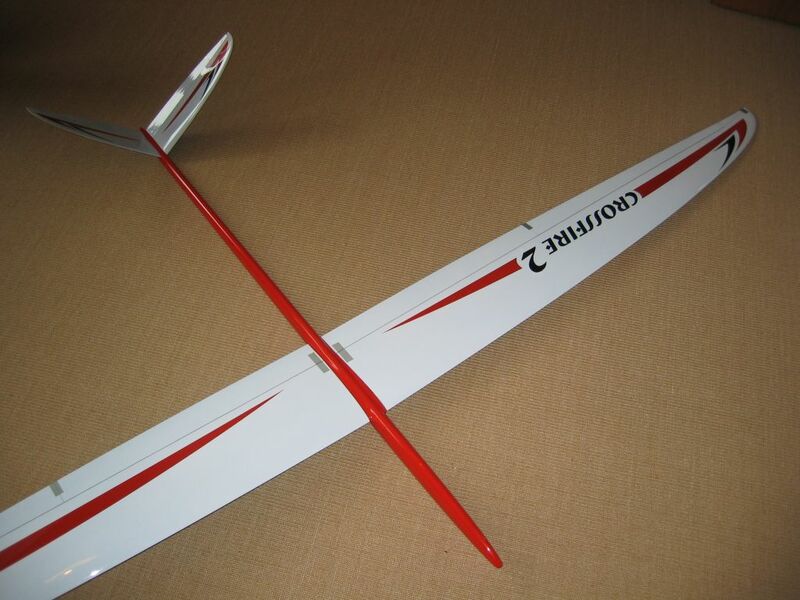 *F3B-C93: Standard version for F3B and Alround. 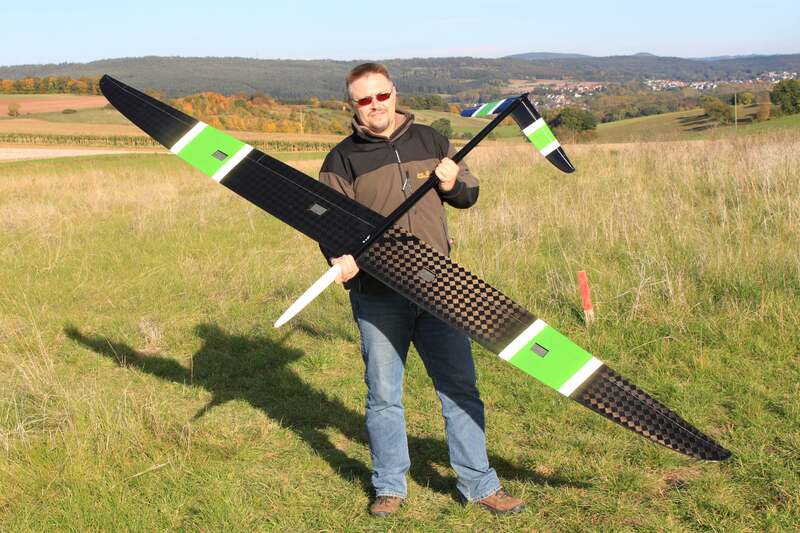 *F3B-Spreadtow-C80: Exclusive version for F3B competition. More versions,details and building service on request! You may choose from 2 design patterns. Custom made design on demand. 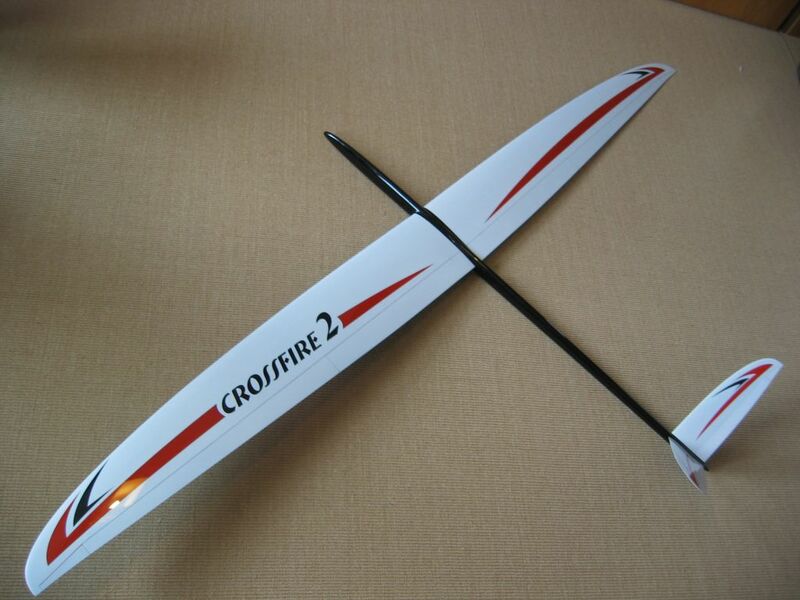 Crossfire-2eX is a high-tech F3B-glider for competition, slope and alround flying . 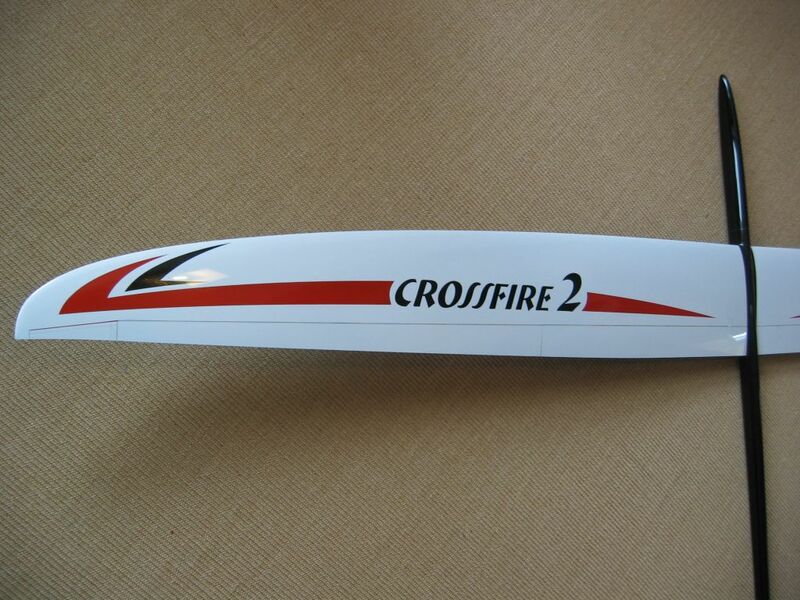 New CROSSFIRE-2 available now ! 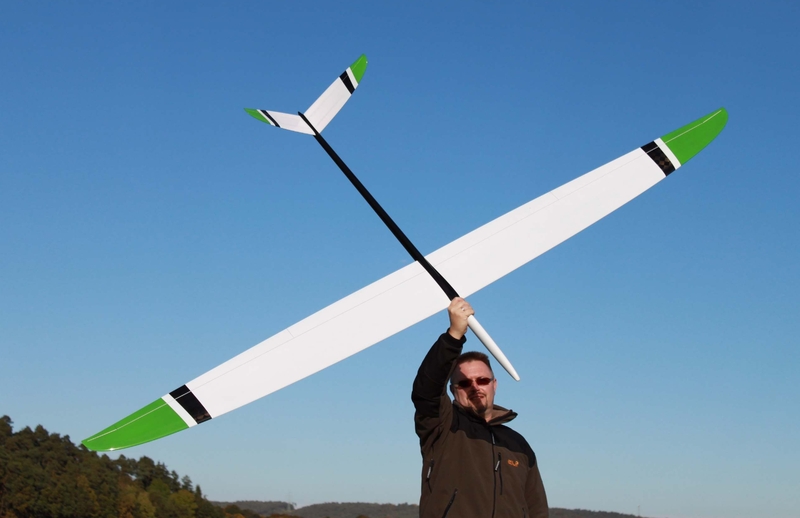 Model with protection covers for fuselage, wing and tail !Ready installed linkage and horns for V-tail! Ready installed tow-hook! 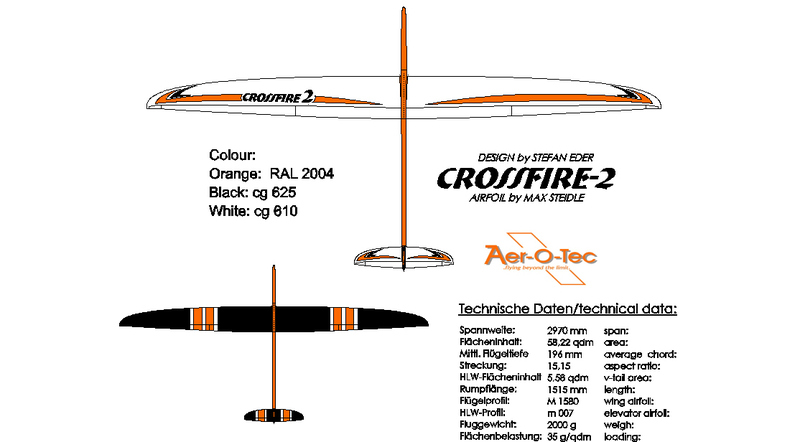 2.4-friendly fuselage, wings and tail with Giga-Flaps. 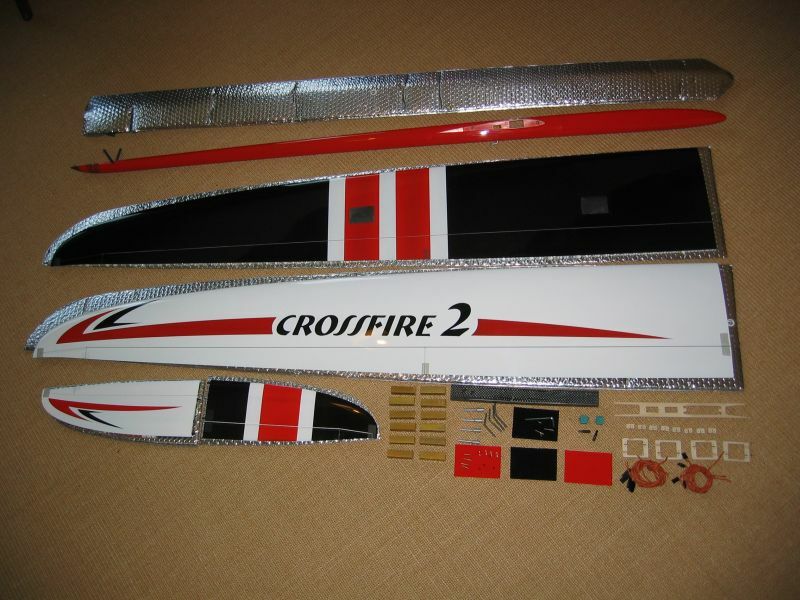 Ballast(1 kg),cables,connectors,quicklinks, servo box covers, RDS-system, servoframes for s3150, servoboard fuselage, carbonjoiner. 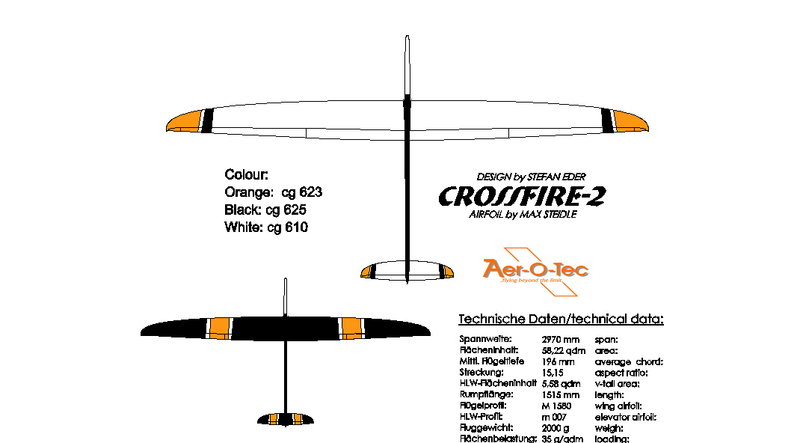 Based on the experience from our successful Crossfire eVo and world Championship winning Crossfire F3B we proudly present the new CROSSFIRE-2. 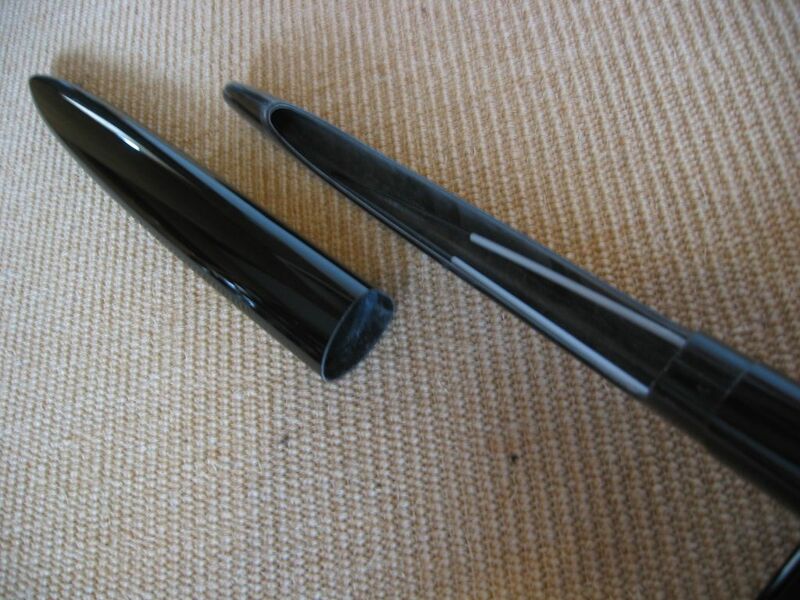 Further experience came from our previous designs such as TOOL (Stratair) and TARGET (airsport products). 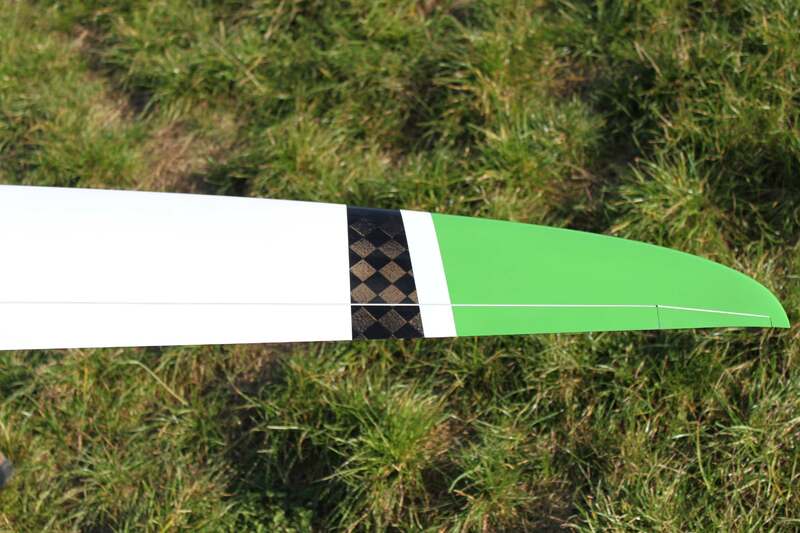 New feature on Aer-O-Tec gliders is a slip-off nose cone - proven details such as 2-piece wing and v-tail or carbon joiner and ballast-system were still evident on this new high performance F3B-competition glider. 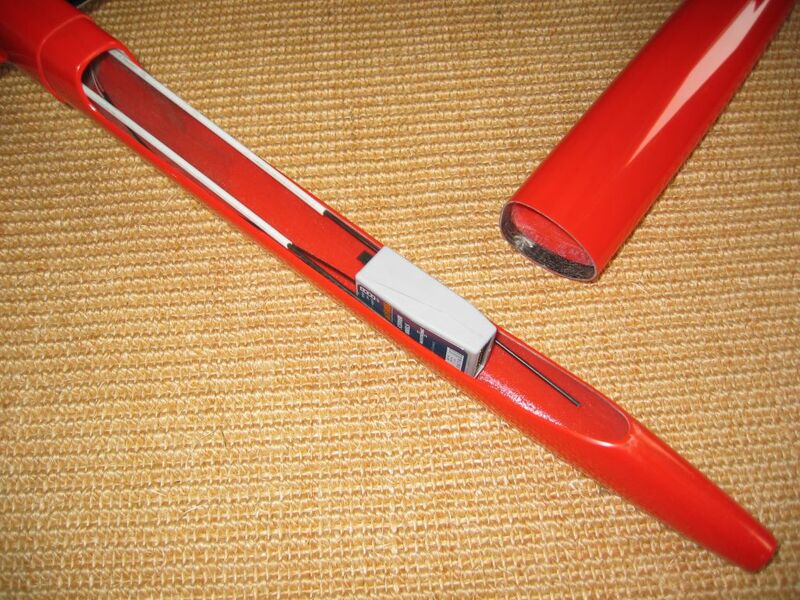 We use a one-piece vacuum laminated fuselage to get maximum strength and low weight. 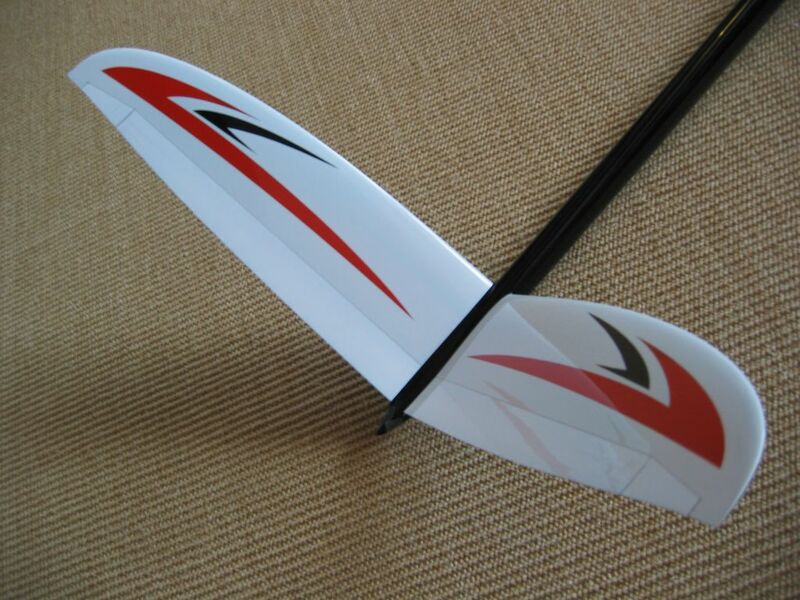 The new airfoil ( 7,9 -7,55 thickness !! ) is optimized for best distance performance and high speed runs. 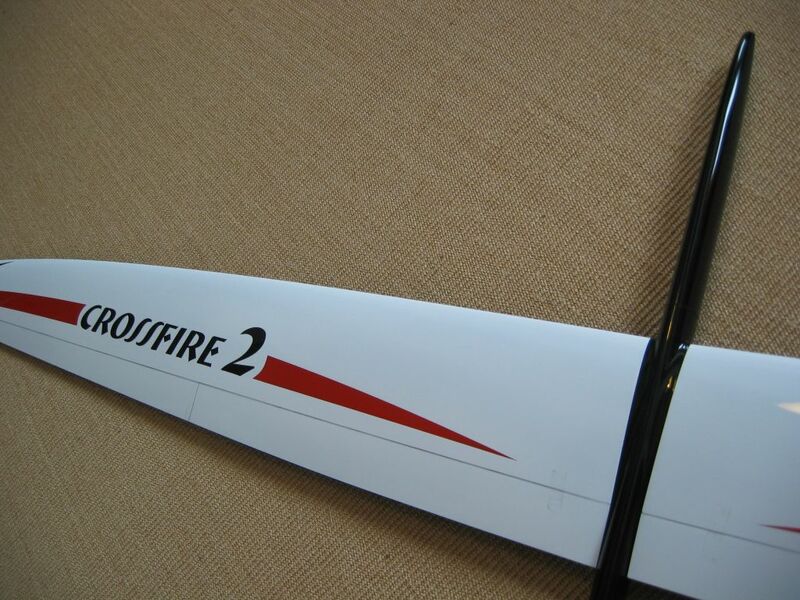 Thermal performance and good handling will be achieved from a long tail boom and sufficant v-tail area. 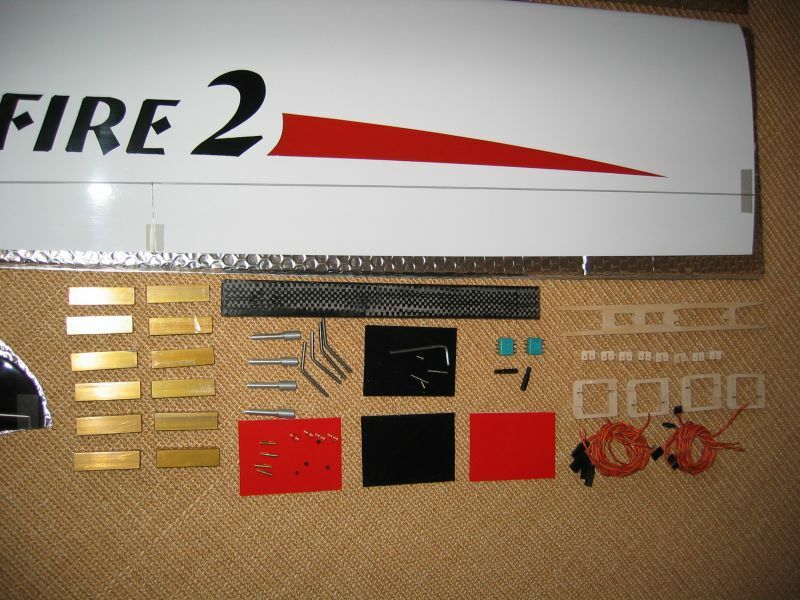 F3B versions come with complete hardware package( small parts, ballast, wing bags...) and RDS -prepration . 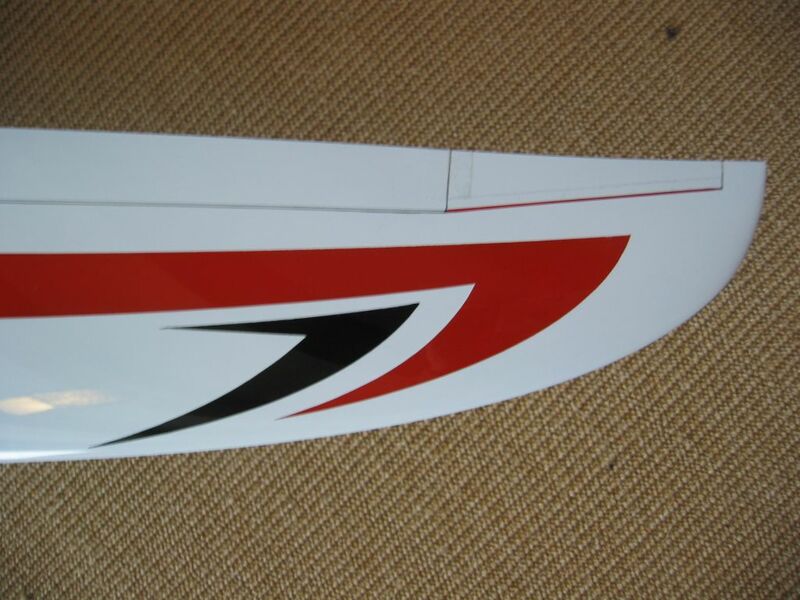 Wing are double carbon up to aileron servo box and single carbon for wing tips. 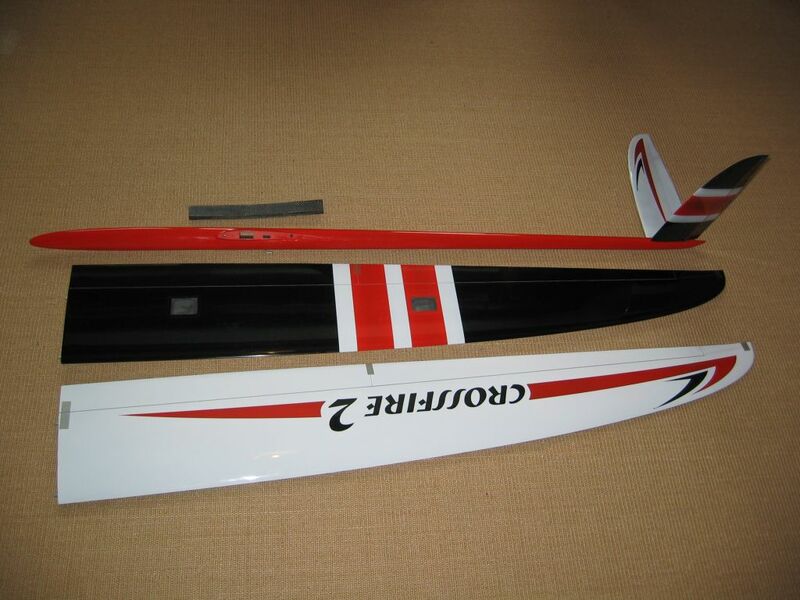 Fuselage comes with ready installed v-tail linkage and tow-hook with 2.4 ready nose and carbon tail boom. Edit by aer-o-tec.de | Credits: multiblog | b2evolution hosting | F.P.